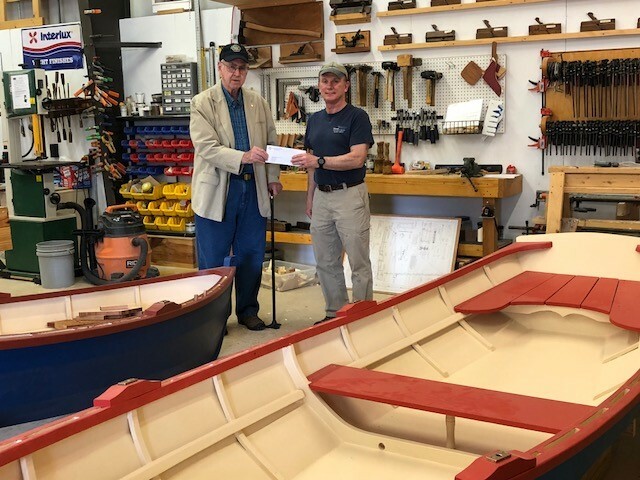 Among the local non-profits receiving a grant from Norfolk Rotary Charities this year is Tidewater Wooden Boat Workshop (TWBT). Funds from the grant will go to purchase boat building materials and supplies. TWBT provides STEM and life skills to at-risk youth, teaching them wooden boats craftsmanship and engaging them in nautical activities. Sixty-five youth participated in the 2018/19 winter/spring program; they built three Tidewater 14 skiffs. Each summer, TWBT runs half-day summer camps for youth ages 11 through 18. Activities include boat-building (both model and full size), rowing, sailing, and environmental science. TWBT is holding an open house on Saturday, May 5, from 1-4 p.m. at the workshop, 910 Ballentine Blvd., Norfolk. Go and check out the boats on display, and see how our grant will be invested.